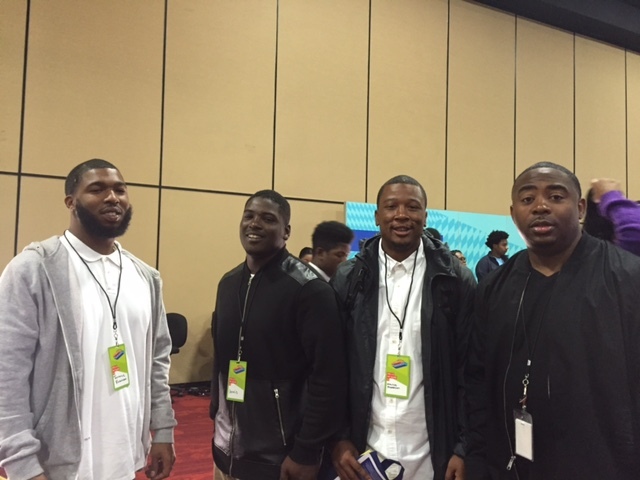 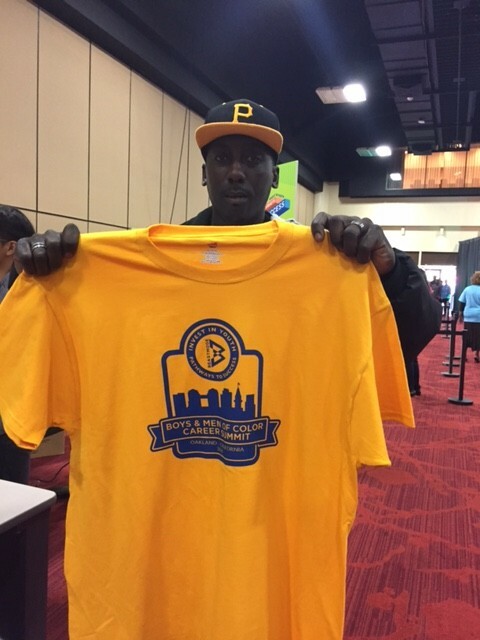 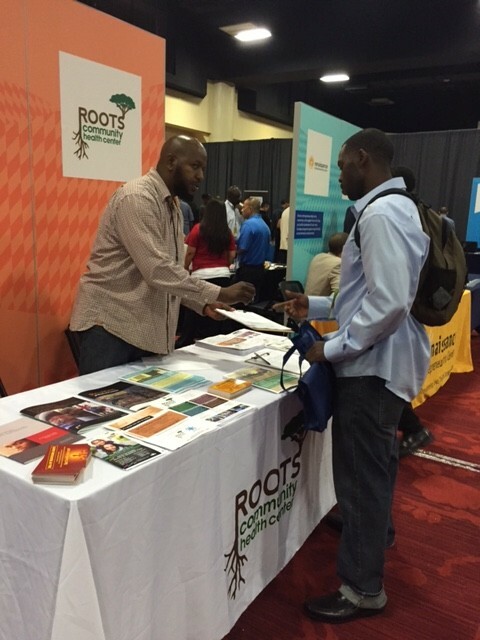 On Thursday, July 21, 2016 Oakland Unite young adult participants attended the Pathways to Success Boys & Men of Color Career Summit sponsored by LeadersUp, the City of Oakland, the California Endowment, My Brother’s Keeper, Urban Strategies Council, and many other sponsors. 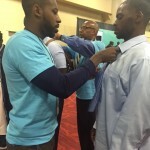 The career summit hosted multiple employers, including Starbucks, Blue Apron, United Airlines, Macy’s and Target, who were looking to hire young talent for approximately 350 job openings. 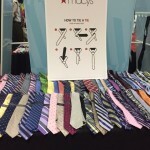 In order to prepare participants for on-the-spot interviews the career summit provided a barber, a tie bar hosted by Macy’s, a computer bar with resume workshops, and volunteers providing mock interviews for participants prior to in-person interviews with hiring companies. 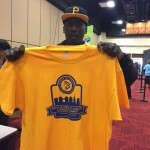 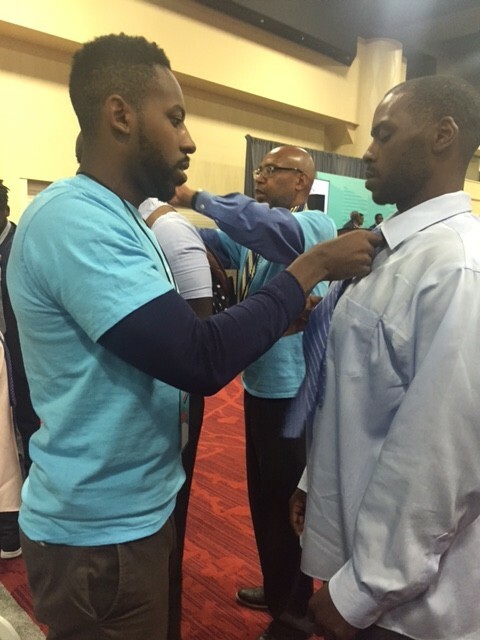 *PHOTOS: 1) Oakland Unite Street Outreach Worker showing-off his summit t-shirt, 2) the tie bar sponsored by Macy’s, 3) an Oakland Unite participant getting fitted for his tie. 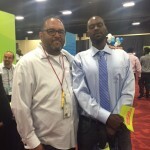 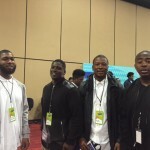 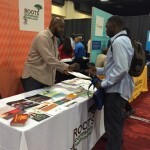 *PHOTOS: 1) Life Coach Eddie Moore and his participants, 2) Lead Life Coach Emilio Mena and an Oakland Unite participant ready for his interview, 3) Roots Community Clinic career booth.